BIMB retest RM1.68 resistant again. If able break up the this level, it will create higher high, uptrend will be continue. 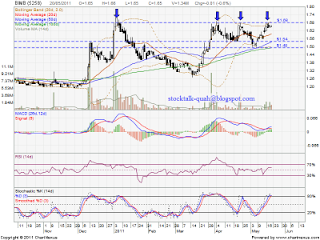 Most analysts will take a position once the price breaks through RM1.68 with increased volume. However, if retrace down, it might retest MA50, RM1.54 level. 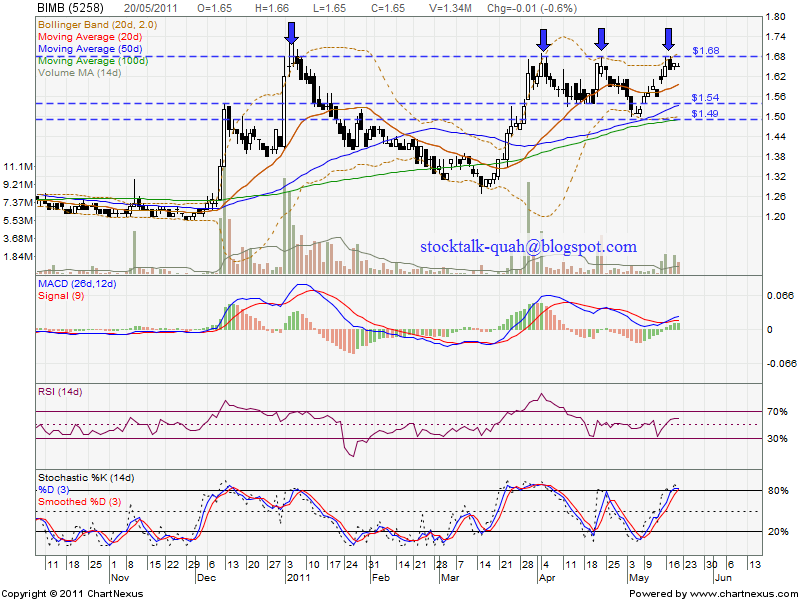 Or future retrace down to MA100, RM1.49 support level. good buy for long term porfolio..